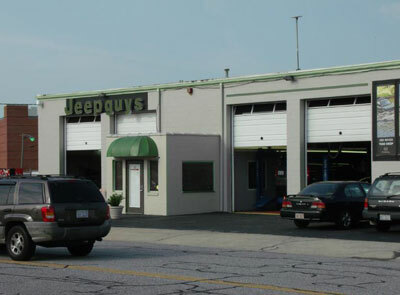 Greensboro's Jeep Service and Repair, part of the Autotrends family. "Where High Tech meets Hometown; Sensible, professional car repair from people you trust." Ask us about our "green" processes. Here is some of the work we have completed already. The JeepGuys shop is staffed with certified technicians who can service Lexus, Infiniti, Nissan, and Mazda as well as your Jeep. Although it is impossible for anyone to predict the costs of repairing shorts or open circuits, we can stand on experience and knowledge to offer the lowest possible repair costs. We have been in the business for 32 years as an automotive electrical repair center. In many cases we have seen a problem like the one you may be having. We have all the best available diagrams and tools to lead us to the right repair. Knowing our trade, having the tools and doing it right saves you money in the fact that we resolve many problems very quickly. Because our technicians have such good training and actually care about what they do. Your car can be addressed with solid facts and not technician suspicions. 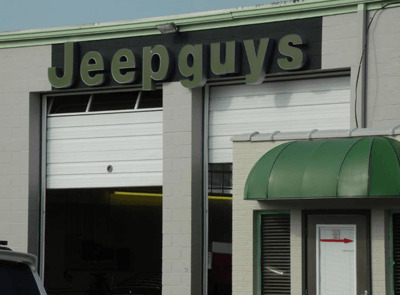 Jeepguys at The Autotrends is a family owned business dedicated to a low pressure, high quality customer service experience.We&#39;ve been in the same location and supporting many of the same customers for the past thirty years !